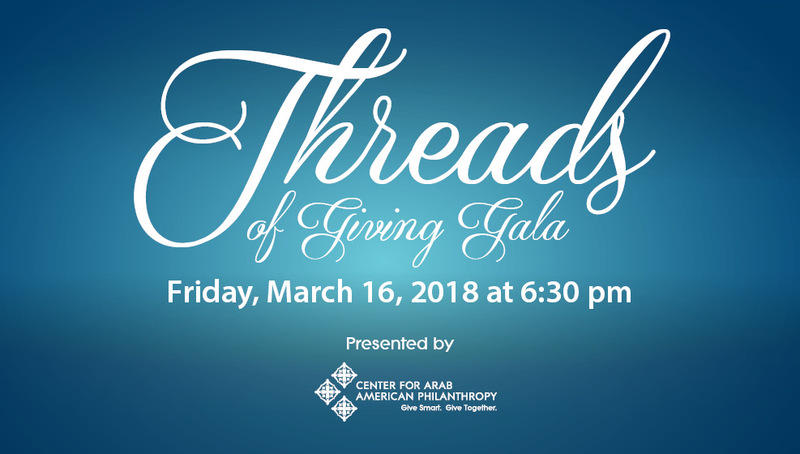 Join us for the inaugural Threads of Giving Gala, honoring Farouk Shami with the Outstanding Arab American Philanthropist Award. The evening will include a VIP reception followed by a seated dinner and classical Arabic musical program from Le Trio Joubran. Dress code is business formal attire.